Cardiff didn’t find life in the premier league interesting on the opening day, Bournemouth were just too strong for them, despite their goalkeeper saving a penalty from Callum Wilson, the young forward still beat him from close range late on in the game, Cardiff fought as best as they could but it was a better forgotten afternoon for them. Newcastle labored in vain at home to Tottenham Hotspur on day one, they leveled after the clock recorded a goal for Jan Vertonghen, rightfully too but just by a few millimeters, Dele Alli bundled home not long after, all within the first eighteen minutes. 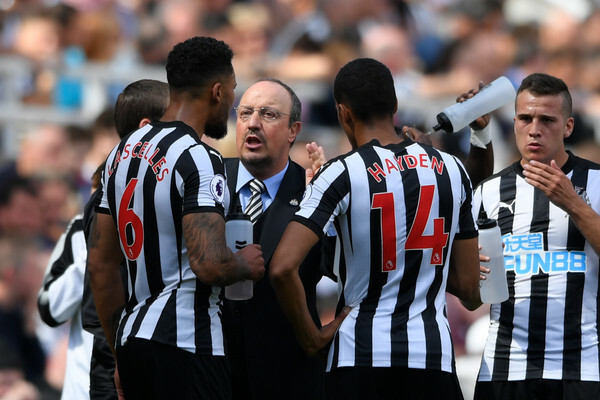 Three points at stake here must be coveted by both Neil Warnock and Rafa Benitez, it’s too early to be doomed, you have to fight with everything within you to stay relevant. Does home advantage count here? Well, Cardiff made their home ground a fortress in the championship, something the Magpies must be wary of. Summer loan signing Harry Arter is available for selection for Cardiff after he was ineligible to play against parent club Bournemouth last weekend. Aron Gunnarsson is out with a knee injury while Kenneth Zohore is doubtful due to a groin injury he has been nursing. DeAndre Yedlin has been ruled out after the American picked up a knee injury in the home loss to Tottenham. Salomon Rondon is set to start while Javier Manquillo could debut for Newcastle. 🗣 Warnock: “Cardiff City Stadium is an intimidating place when they’re all in full song – it sends shivers up my spine..."
🗣 "We’ll play to our strengths and we’ve got game-changers that can get the fans going..."
🎥 Jonjo Shelvey is backing newly-promoted @CardiffCityFC to beat the drop this season - but he is targeting three points for Newcastle in tomorrow's @premierleague clash in South Wales.